Amber glass provides excellent UV protection making it the expert choice for light-sensitive ingredients. 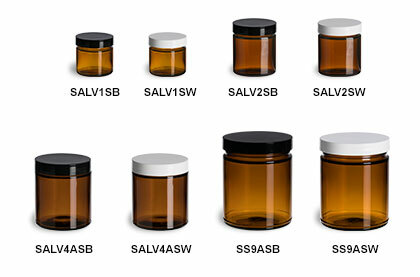 Topped with a smooth black or white lid these food grade jars are available in four convenient sizes, perfect for your bath and beauty product line. All prices include the smooth black or white lid with pressed foam liner.